Known as Mianus Neck until 1870 Riverside was predominantly a community of farmers, fishermen and oystermen. Until the middle of the 19thcentury, Riverside Avenue was known as the Potato Road for all the potato cellars near the cove. Today, it is one of the most desirable of our suburban communities. It is closely linked to neighboring Old Greenwich, and its abundant stretch of waterfront on the river, harbor and Long Island Sound attracts those who have a particular interest in living near the water and in sailing and fishing. Like Old Greenwich, its location near a railroad station makes it ideal for commuters to the city. In the renowned town of Greenwich, Connecticut, you will find the delightful neighborhood of Riverside. Riverside is found in Fairfield County and serves as home to approximately 8,420 residents. 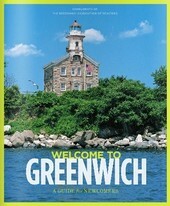 While Greenwich is one taxing and political body, it encompasses numerous distinct communities and neighborhoods. Among them you’ll find Cos Cob, Byram, Mianus, Old Greenwich, Riverside and others. Of its many neighborhoods, only Old Greenwich, Cos Cob and Riverside have their own postal names and zip codes. Riverside is located in the 06878 zip code. Residents of Riverside have access to the Metro-North line via the Riverside Railroad Station. Residents also enjoy easy travel via Interstate 95 which cuts through the Riverside neighborhood. Boasting a long, rich history, Riverside is home to the Samuel Ferris House and the Riverside Avenue Bridge, both are sites listed on the National Register of Historic Places. Once a farming community known as Mianus Neck, Riverside has evolved into a suburban oasis with a multitude of waterfront properties along the harbor, river and Long Island Sound. Nestled between Cos Cob and Old Greenwich, Riverside is a great place to buy a home. The extensive shoreline adds to the appeal of this splendid waterfront community. 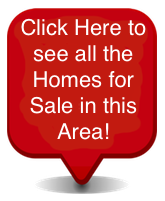 Homes for sale in Riverside come in a broad price range and include properties of varying ages, sizes and architectural styles. Condos and townhomes in Riverside have an average listing price near $742,000. Vacant lots and land for building in Riverside have an average listing price near $6 million. Multi-family homes in Riverside are few, but those available typically have an average listing price around $765,000. The most abundant real estate option in Riverside is single family homes. Single family homes in Riverside can cost as much as $19.5 million, however the average listing price for a Riverside single family home is nearer to $4.1 million. If you would like more information regarding homes for sale in Riverside of Greenwich, Connecticut, please contact us today.